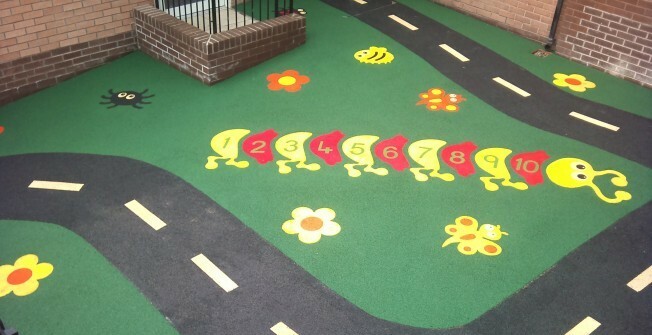 We supply and install a range of impact absorbing surfaces for children's play areas, parks and public pathways. These are available in a choice of specifications with the most popular being wetpour and rubber mulch. Our surfaces all meet up with the National Building Specification, so you can be sure you are getting quality services. To learn more about NBS, please visit this page https://www.impact-absorbing-surfaces.co.uk/nbs/ We are able to discuss the different options available with you to help you decide which would be the best for your facility. 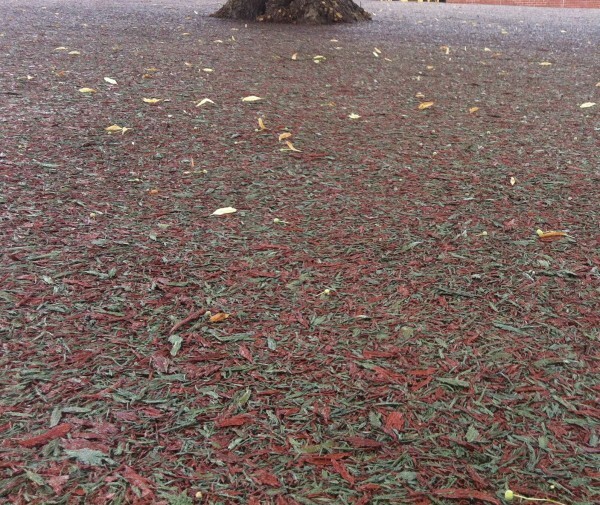 If you're looking for a more natural area, we would recommend having rubber mulch or grass matting installed; these are great for woodlands areas and parks. As leading marketers in the surfacing industry, we are able to carry out high quality installations using premium products to ensure you get the best finish. Our surface installations are guaranteed to last a long time with the correct maintenance and we carry out repairs and servicing if necessary. Our impact absorbent surfaces can be installed under playground equipment as they meet BS EN 1777 standards, passing safety requirements for young children. We are professional safety surface installers and will only make use of premium material so you can be sure the installation is carried out to a top quality standard. Our safety surfaces are also SuDS compliant; this means that they are permeable floors which allow water to drain through easily. The advantage of porous flooring is that children can play on the playground all year round since it will not get muddy or waterlogged. To learn more about playground flooring please click here https://www.impact-absorbing-surfaces.co.uk/facilities/playground/ Alternatively you could get more info on the impact absorbing surfaces we install and details on costs by filling in our contact box. Once you have completed the form one of our experts will get respond quickly with a response answering any questions or queries you may have. Our local professional installers closest to you may carry out the construction of children's safety surfacing to create a fun and safe area for children to play in. If you've got high playground equipment installed in your playground or surrounding areas, it is important to have flooring which is impact absorbent installed. The surface needs to be installed for safety no matter what the use. NEAP areas will need safety surfacing since the kids will need to be safe. 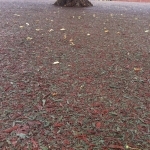 For more information on NEAP surfacing please click here https://www.impact-absorbing-surfaces.co.uk/facilities/neap/ Our experts can install wetpour and rubber mulch in different depths to meet the Critical Fall Height necessary to keep the children safe in the event that they fall off the playground equipment. The CFH is calculated by looking at the sub base which the children's safety surfacing will be laid over and the height of the play equipment. If the apparatus is very high, you will need to have a thicker surface installed to make sure the children won't get injured if they fall. All of our safety surfaces meet up with British Standards for safety, as this is essential when construction a children's play area. We offer you even more details on the impact absorbing surfaces that can be installed along with details on costs and prices. If there are any questions which you would like us to answer, please fill out the contact form available. Our expert team members will get back to you as soon as possible with more information on safety flooring available and the installation process. We have made our enquiry process easy to follow so that you can receive your information quickly.